Check out our tasting room near Downtown Fargo! 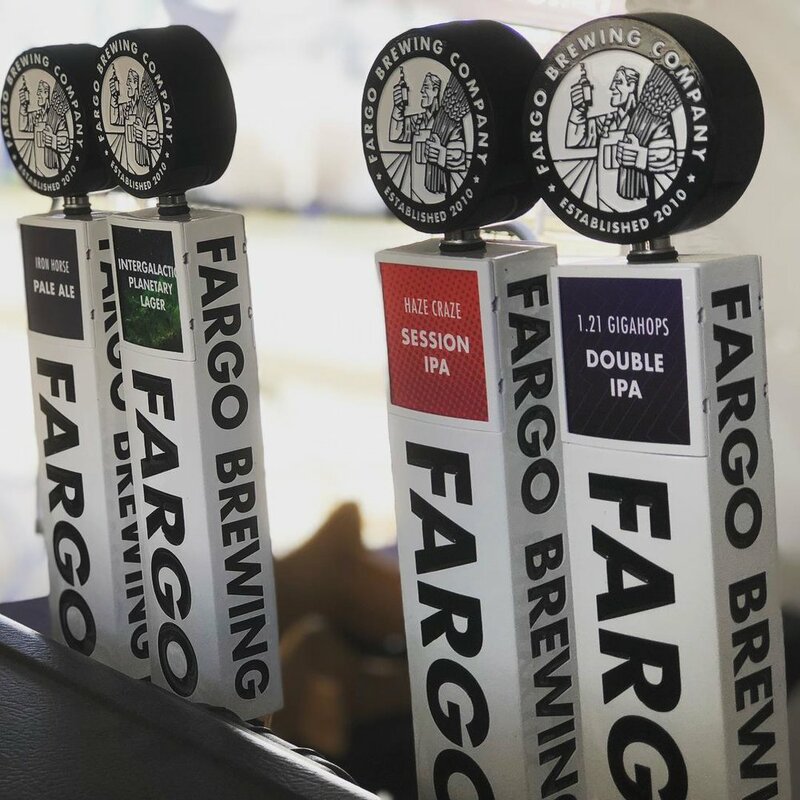 What's new with Fargo Brewing? Hosting an event and looking for adult beverages that are sure to be hit? Drop us a line and we will work with you to make it happen! Are you looking schedule a private tour or an event at the brewery? Send us a message and we get back to you soon! If you are looking to secure silent auction items, or any additional donation requests, reach out to our team and we will help you figure out the details. At Fargo Brewing, we strive to embody the culture we want to live and work in. We put pride in beer, love into our events, and community in hearts. Our staff comes from all walks of life, but they truly personify the craft culture that Fargo Brewing stands for. Come meet the crew at the FBC and see what the difference is between a job and a way of life. Looking to get into the beer industry? We aren't always hiring, but we are always open to inspirational team members to join ur staff. Hit us up with an application, and we will see where it goes. Sign up with your email address to receive news about beer releases, concerts, and more! We respect your privacy. We will never sell your information to a 3rd party. Do have another question or some feedback for the team at Fargo Brewing? Send us an email and we will get back to you about your concerns! Otherwise we might have an answer for you in our FAQ!